Look out for the early bumblebee…they’re emerging now! I am always so impressed and uplifted when I see the first bees out, braving the cold and wind to forage in the spring sunshine. The buff-tailed bumblebee (Bombus terrestris) braves the winter, emerging on fine winter days to forage, but another species that you are likely to see right now is the ‘early bumblebee’ or Bombus pratorum. The early bumblebee (Bombus pratorum). Being larger and hairier than honey bees, bumblebees in general have a bit more protection to cope with colder weather conditions, giving them an advantage when it comes to foraging in the early spring. 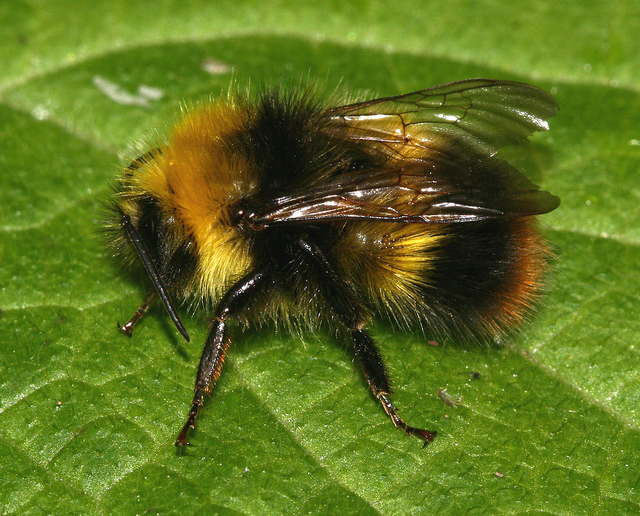 The early bumblebee is common throughout Britain from March until June or July, and in milder parts of the south of England, as early as February. The Bumblebee Conservation Trust has a very good identification chart and video guide to help distinguish different bumblebee species. When trying to distinguish between species of bee, size, tail colour and stripes are the features to look at. Bombus pratorum is noticeably smaller in size than other bee foragers at work in the spring. Queens, workers and males have a yellow band on the thorax and abdomen, though the band across the abdomen is less obvious or sometimes absent in workers. The tail is a strikingly dark orange-red, but can be tricky to see as this colouring is only in the final tail section and may also fade with time. Males have a broad yellow collar that wraps around the thorax, and yellow hair on the face. The early bumblebee is a good pollinator of flowers and fruit, enjoying in particular white clover, thistles, sage, lavender, Asteraceae, cotoneaster, alliums and a range of daisy type flowers; it is also an important pollinator of soft fruit, such as raspberries and blackberries. B. pratorum’s nesting period is shorter than other bumblebees at just 14 weeks. Queens are fertilised in late summer and then usually go into hibernation. They will emerge from hibernation between March and May depending on the climate in that location and find a place to make their nest. However, because of their short nesting period, they can have two or even three colonies a year in the warmer, southern regions of the UK; new queens mate and, instead of hibernating, immediately start a nest. At the start of a colony cycle, the queen has a large store of food, which allows her to start laying her eggs to produce workers and foragers who will then gather all the supplies she needs in order to remain in the nest and continue to lay eggs. As the colony cycle nears its end, she will produce more queens before dying herself, allowing the young queens to take up the cycle for the next spring. These young queens will go out to forage for themselves and return to the nest for shelter, but they don’t contribute to the dying colony. When they are ready to mate, the young queens follow the scent of chemical attractants deposited by males. The old colony dies off, with B. pratorum rarely seen after July in the UK, and so the cycle continues for another season. The early bumblebee is known for nesting in unusual places such as abandoned bird boxes or rodent nests or just under the ground. Colonies are small at less than 100 workers. The bumblebee is no more immune than other creatures to being taken advantage of. Of the 24 bumblebee species in the UK, 6 are ‘cuckoo bees’, which don’t make their own nests, but rather kill off the queen in another nest and get the worker bees to raise her larvae. It is the species Bombus sylvestris, which is a nest parasite of the early bumblebee. I was intrigued to hear this term, describing a process unique to bees, whereby they catch hold of a flower and by emitting a high pitched buzz shake free the pollen trapped inside (watch a video here). I had also often wondered if bees had any way of knowing whether others had raided the pollen stores before them. It turns out that they have smelly feet that leave a distinctive odour on flowers, which indicates to other bees that the supplies have been raided. As you will know, our pollinators are in decline not just in the UK, but globally. I was saddened to learn that two species of bumblebee have become extinct in the UK since 1900 – Cullums bumblebee (Bombus cullumanus) and the short-haired bumblebee (Bombus subterraneus). Having lost 97% of wildflower-rich grasslands, we can take action to plant the flowers that are rich in pollen and nectar and therefore of most benefit to bees – some flowers, like pansies, and most double flowers may look pretty, but are of little benefit to bees. Then there is the whole issue of pesticides. Neonicotinoids, used in some pesticides, are lethally toxic and infiltrate every aspect of the plants systemically – one teaspoon of neonicotinoids is enough to give a lethal dose to one and a quarter billion bees. Professor Dave Goulson, Professor of Biology at the University of Sussex and a bee expert, has been on a mission to see how widespread the use of these pesticides are as plants with a ‘Bee-friendly’ label may have been treated with these pesticides before being put on the shelves of the plant nursery. Splitting and sharing plants and growing from seed can help ensure the plant hasn’t been exposed to these pesticides – it’s another thing we can do as gardeners to help these valiant and much-assailed vital workers in the garden. Also, as a Friend of the University of Bristol Botanic Garden, you have a unique opportunity to grow special plants from seed collected at the garden! in the UK. You can see the results of last year’s survey and access various educational resources on their website. Alida Robey has a small gardening business in Bristol. For several years in New Zealand she worked with others to support projects to establish composting on both domestic and a ‘city-to-farm’ basis. Posted in bumblebees, conservation, Friends, Neonicotinoids, pesticides, pollinatorsLeave a Comment on Look out for the early bumblebee…they’re emerging now! A floral excursion to the western Mediterranean at this time of year appeals to many of us. The anticipation of warm weather, beautiful landscapes and a dizzyingly diverse range of exquisite wild flowers and I want to pack my bags in a flash. I certainly felt that way when I saw some of the images of the region’s wild flowers in a recent Friends‘ talk given by botanist Dr Chris Thorogood. However, if you cannot escape overseas, then the Mediterranean collection at the University of Bristol Botanic Garden will give you a taste of some of the Mediterranean Basin species although you will have to wait till later in the year to see some of the flowers in bloom. This area has a diverse flora due to varied geology and weather with numerous endemic species and beautiful wild flower meadows. 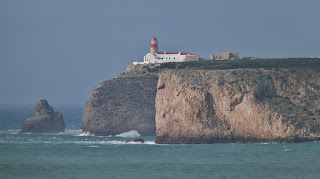 Cape St Vincent, the most south-westerly point in the area and a vast nature reserve, has a spectacular display of flowers in the spring and early summer (January through to the end of May). There are many unique species of thyme and endemic rarities like the tiny diamond flower (Ionopsidium acaule). This province is located in the southeast of the Iberian Peninsula and has a wealth of species adapted to cope with extremely dry conditions. Many plants are salt tolerant including sea lavenders like Limoniuminsigne and the rare low growing lily, Androcymbium europaeum whose flowers emerge on sand dunes in mid winter. An area called Cabo de Gata, an impressive tract of volcanic cliffs, is host to numerous unusual species. Many of these are freakishly odd looking from the succulent Caralluma europaea with its purple and yellow striped flowers to the phallic form of the parasitic Cynomorium coccineum. This peninsula in the northeast of the island has many unique sea lavenders and orchids. Endemics are closely dotted only metres apart. Much of the landscape is fairly inaccessible due to its rocky and precipitous nature so one needs to be fairly adventurous to spot some species. Notable endemic species include Arum pictum, an arum that smells of rotten meat to attract its fly pollinators and a species of St John’s Wort unique to Mallorca, Hypericum balearicum. The Maremma region is rich in wild flowers and contains 25% of all Italian flora. It has a unique geology and extremely varied landscapes including the protected coast, swathes of pine forest and abandoned agricultural plains. The giant fennel, Ferula communis, is one such distinctive plant with its towering inflorescences that can take many years to develop. species found in Gargano National Park. species here (over 65) including some unique bee orchids. Chris Thorogood is author of the new Field Guide to the Wild Flowers of the Western Mediterranean. Helen Roberts is a trained landscape architect with a background in plant sciences. She is a probationary member of the Garden Media Guild and a regular contributor to the University of Bristol Botanic Garden blog. Zoe Parfitt is no stranger to the University of Bristol Botanic Garden. When she was just 16 years old, Zoe did a work experience with the Garden. Now, she is the Botanic Garden’s first full time trainee entirely sponsored by the Friends through their Education and Training Fund. I recently caught up with Zoe in the glasshouses to discuss her work at the Botanic Garden, her future career plans and her long-standing interest in orchids. Zoe is a graduate of Writhlington School and was involved with the School’s Orchid Project from the moment she got there at age 11 – in fact, she still has close links with the project. 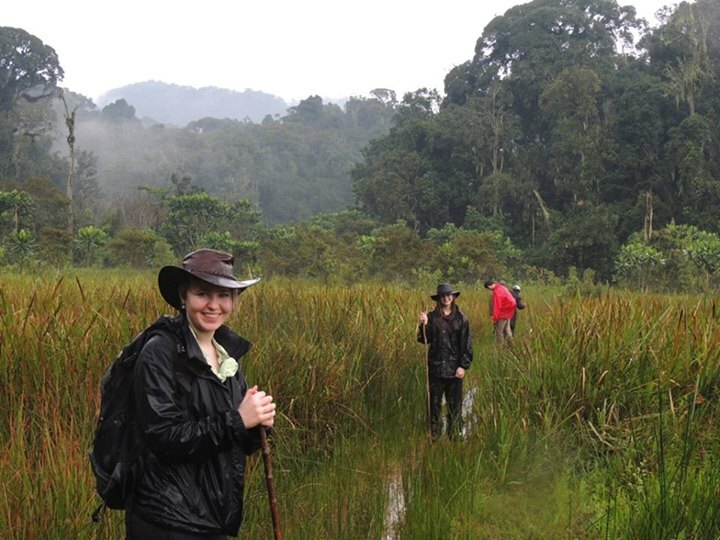 During her time with the Orchid Project, Zoe not only learned a vast amount about orchids, she had opportunities to travel and share her knowledge in different countries, including South Africa, India (Sikkim) and Rwanda. Whilst in Rwanda, Zoe visited local schools to teach orchid conservation and propagation methods. I asked Zoe if she could show me some of the orchids on display in the glasshouses – including some that were propagated at Writhlington School. 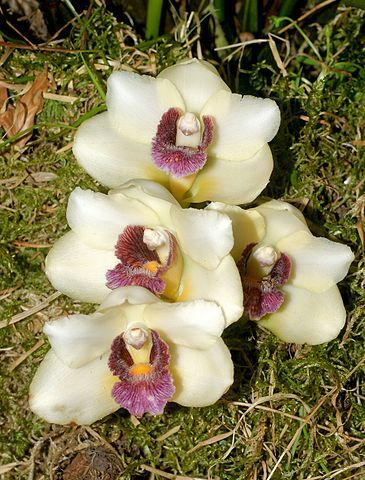 At the Botanic Garden, Zoe looks after the orchids – watering, feeding, repotting, pollinating (which is done with a matchstick) and nurturing sick orchids back to health. She showed me several different species in the ‘orchid hospital’ that are currently being treated for lime scale insects. Zoe gave me some useful advice regarding my own orchids at home. They like to be constricted in their pots and should never be over potted. Zoe is involved in potting up any orchids and for this the media used is cork bark, sphagnum and for those that need it more moist, some perlite. It is important that orchids are fed regularly too and in the glasshouses Zoe feeds the orchids once a week in the summer and twice a week in the winter. Zoe is currently looking after, re-potting and sorting the Bifrenaria harrisoniae, a species endemic to Brazil, display at the Garden. 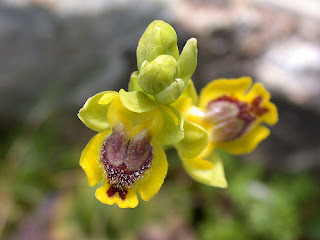 This species can grow as an epiphyte (living harmlessly on another plant) or as a lithophyte (living in or on rocks), and has showy flowers that are pollinated by bees and bumblebees. She hopes to propagate from a seedpod Epidendrum nocturnum, a beautiful orchid that is only fragrant in the evening and hence is pollinated by moths. Growing terrestrial orchids from seed is difficult and it can take up to 2 years for the plants to be transplanted from the micro propagation jars into growing media. As well as the orchid duties that Zoe is responsible for, she also helps out in other parts of the garden on different projects. On the day I visited, she was helping a team get all the planting ready for transport down to the ballast seed garden barge to be planted the following day. Zoe explained that she is gaining invaluable horticultural experience at the Garden, diversifying her knowledge beyond orchid biology and horticulture. In terms of her future career, Zoe is optimistic about her prospects in the orchid industry. and flower shows including Hampton Court Flower Show where MontyDon interviewed her. It can be a little difficult to pin down one of the Friends of the University of Bristol Botanic Garden for an interview these days. Between organising the extremely popular Art and Sculpture Festival, planning for 40th anniversary celebrations – which includes a concert this coming Saturday (21st March) – and their own busy lives, the Friends are hard at work. I spoke to Pat Davie, the Chairman of the Friends, about how the Friends began, their role over the years and what they hope to achieve in future. Pat joined the Friends group in 1995 after she attended some courses on Garden History at the Botanic Garden; it was then that she learnt about being a volunteer. Since then, she has taken on a number of roles and very much enjoyed being part of the working life of the Garden. The Friends are an essential part of the Botanic Garden with 1,900 members and over 200 of these members actively volunteering in the garden. They provide valuable resources for the gardens in many different guises, be it the organisation of events and activities to providing funding for trainee horticulturists. How did the Friends start? The Association of Friends of the University of Bristol Botanic Garden formed in 1975 when the Botanic Gardens were threatened with closure due to a financial crisis at the University of Bristol. The Friends needed to raise the profile of the garden and persuade academics, administrators and the community at large of the importance of the gardens as a teaching and research resource. Peter Haggett, Emeritus Professor in Urban and Regional Geography at the University of Bristol, was one of the founding members; “Our primary purpose was to get the University to change its mind and retain Bracken Hill”, which was the Botanic Garden site at that time. “The formation of an organisation of ‘Friends of the Botanic Garden’ was a key tactic in that strategy,” explained Peter. As well as Peter, the original committee included the curator of the garden at the time, Dr David Gledhill (Botany), Keeper of the Garden, Dr Mark Smith, and local campaigner Mrs Anne Hewer (daughter of Hiatt Cowles Baker, a former Pro-Chancellor of the University). • further the development of the amenities and educational services of the Botanic Garden. showing Mark Smith in the Botanic Gardens. The annual fee to be a Friend then was £3 (it’s now £25 for an individual or £35 for a family, which is still good value for money). Membership included free access to the gardens at weekends and public holidays, a number of rooted plants and seed packets, lectures and social events. Initially, 200 people joined and membership has gradually increased over the years to 1,900. Now, to celebrate 40 years of supporting the garden, the Friends would like to see that membership break 2,000 for 2015. 2001, after which all efforts were put into preparations for the garden’s move to The Holmes allowing Bracken Hill, to be sold for redevelopment. 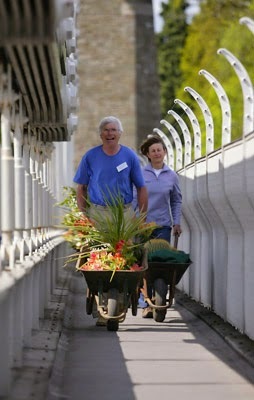 The move from Bracken Hill to the Holmes was a huge undertaking and one memorable aspect of the move involved a sponsored walk from Bracken Hill to The Holmes in May 2005 across the suspension bridge with wheelbarrows full of plants! This was to raise the profile of the Botanic Gardens and help raise funds for the move. The basic costs of the design and development of the new garden (now in its 10th year) were covered by the University, but many other projects over the years have been funded by the Friends. These include the Welcome Lodge, which was part funded by a long standing member, the replacement of tree ferns in the evolutionary dell when the originals died during a particularly hard winter, purchase of new plants for various displays in the garden and development of the tropical pool in the glasshouses. One of the most recent appeals has been raising funds for hosting a horticultural trainee full time at the Botanic Garden. The Friends achieved the remarkable feat of raising over £10,000 to fully fund a trainee for a year, thereby supporting and inspiring the next generation of horticulturists. Some of the fundraising events over the last year include an exhibition of botanic art, the Blue Notes Jazz concert and the Friends’ open gardens scheme. What are the benefits of becoming a Friend? For starters, you receive free entry to the gardens! Other benefits include free horticultural lectures, special seed packets from the garden that are not available to the public, visits to private gardens of Friends, excursions to other interesting gardens, early booking and reduced cost entry to events, and a quarterly newsletter. The newsletter, put together by volunteers, contains useful information with pieces written by the Director and Curator of the Gardens, and to further bolster links with the University, there are articles written by members of the School of Biological Sciences. Froggie also has a repeating section in the newsletter that includes fantastic educational activities for children. The Friends of the BBG are holding a celebratory concert with the Bristol University Singers and the Bristol University Madrigal Choir at 2:30pm on Saturday 21st March. The event will be held in the Victoria rooms, Queens Road, Bristol and promises to be a relaxing afternoon of music that includes popular opera choruses and summer madrigals. A team over the winter has been working tirelessly and collated 40 years worth of photographs, papers, committee meeting notes, newsletters and extracts of memorable moments, some of which will be on display at the concert and at other celebratory events throughout the year.